I've been reading Evolving in Monkey Town by Rachel Held Evans. This is a spiritual memoir of Evans' experiences growing up in Dayton, Tennessee, aka "Monkey Town" due to it being the site of the 1925 Scopes trial. Evans recounts her evangelical upbringing, and the eventual cracks that began to appear in her faith foundation. She begins to question the concepts she'd been taught about God, the Bible, evangelism, and other religions. The reaction from her Christian friends is predictable, as many of them try to get her to "stop challenging God's sovereignty" or blow off her questions with the usual cliches ("God's ways are not our ways"), eventually leading Evans to reflect on how unhelpful and self-sabotaging it is for Christians to not take people's questions seriously. Her faith ends up evolving (like the title!) into something more open-minded, progressive, and appreciative of questions. I'm liking the book, in part because I can hear my own journey in hers. Evans' blog is also now on the sidebar. 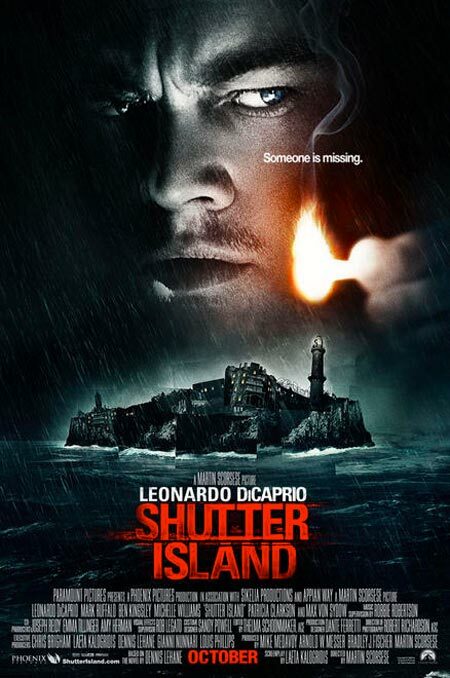 We watched Shutter Island this week. Set in 1954, Leonardo DiCaprio plays a federal marshall sent to a mental hospital to investigate the disappearance of a patient. At every turn, things seem to be more than they are and you never quite have a handle on what's going on until later in the movie. Well, most people may not have a handle on it...Coffeewife called the ending DURING THE OPENING FREAKING CREDITS. That's what I get for marrying a psychology major. Regardless, it is a great movie, with plenty of intrigue and mind-trippy stuff along the way. I'd probably call this one of the best movies I've seen so far this year. I picked up the newest album by Robert Randolph and the Family Band this week, We Walk This Road. Randolph has always had a tinge of gospel to his music, and this one's a little more heavily infused with it. That's not a bad thing, or I suppose most who'd listen to him otherwise would think so. All in all, it's kind of a more understated, funky album. Randolph's guitar isn't as prominent...it seems to focus more on vocals. There are also some good bass licks that I want to learn.